codebreaking – Amelia Treader, an author and more. Grading 55 or so 11 question finals this weekend. The students who actually did the work do pretty well. The rest, ah well, how many should I fail? So no literature this weekend. One of my favorites, a very easy python problem, “On Julius’ secret service” was there. Bugger all. More here, here, here and here. My students are nothing if not persistent. Since it seems that our Regency spy romance is much more popular than our science fiction, this post introduces the sequel to The Art of Deception. Amanda’s reading was interrupted by a summons to attend on her mother. Amanda’s mother made it clear that she must attend the assembly. After a short carriage journey, it only being six or so miles between Coalpit Heath and Chipping Sodbury, they have arrived. Mr Jameson just asked Amanda to dance, despite her interest in a mathematics problem. The set over, Amanda wants to return to her usual pursuits when her mother stops her. Amanda has just said a biting remark about the mysterious Mr Jameson, and her friend Louisa wonders why she is so sour. After the break for refreshments, the story resumes on the dance floor, where Amanda has agreed to another dance with Mr Jameson. There are a couple of non-obvious links to my day job in this snippet. The most interesting is the idea of “Symmetric Polynomials.” The study of these led a certain Evariste Galois to develop group theory of polynomials in the late 1820’s. He wrote a formidable exposition on the theory the night of May 30th 1832 and promptly was shot in a duel in the morning of the 31st. Galois theory forms the basis for much of modern communications and cryptography. The error correcting codes that allow us to pump gigabits of information through grotty fibre lines or watch DVDs come from his work. As does the mixing step in Rijndael or AES. The idea itself is strikingly simple, albeit rather tricky to construct in practice. Prime numbers form simple rings or groups that are closed under multiplication and addition in modular (clock arithmetic). For example, if we keep multiplying by 3 mod 7 we have 1,3, 2 (9 mod 7), 6, 4 (18 mod 7), 5 (12 mod 7), and 1 (15 mod 7). It repeats forever after that and every number from 1 to 6 is a power of three mod 7. Therefor 3 is a generator in the ring mod 7. Cool (at least I think it’s cool). Most of the ways we exchange secret keys on the internet use this math, but with rather larger prime rings (where the primes requires 2000 bits or so). This leads to the idea of irreducible polynomials and polynomial rings. Unfortunately the theory is too large to fit in the margins of this post. The featured image shows a working modern reconstruction of a Turing “bombe” from Bletchley Park. This snippet continues formal connection to the previous book in the series (the art of deception). Mrs Hudson’s academy doesn’t just teach deportment and other social skills. You can find my, well our, works here. Incoming. Extract from my next one. Steam and Secrets? This is a regency-punk? work set in 1809. It combines steam, ciphers, codebreaking, and espionage, with a chase and sweet romance. Still working on a title. I’ve just crossed the 50K barrier, so it’s approaching the intensive edit stage. In any case I’d love to hear what you think. “Amanda Jane Elizabeth Grace, what have you done to yourself?” Lady Caterham wailed at her daughter. “You’re covered in grease, and we must leave for the assembly in an hour.” Amanda stood in the doorway of Lady Caterham’s room, awaiting instructions from her mother. Lady Caterham sat at her dressing table while she gave instructions to her daughter. Lady Caterham’s maid was waiting to put the finishing touches on her mistresses’ gown and hair while Lady Caterham dressed down her slovenly daughter. 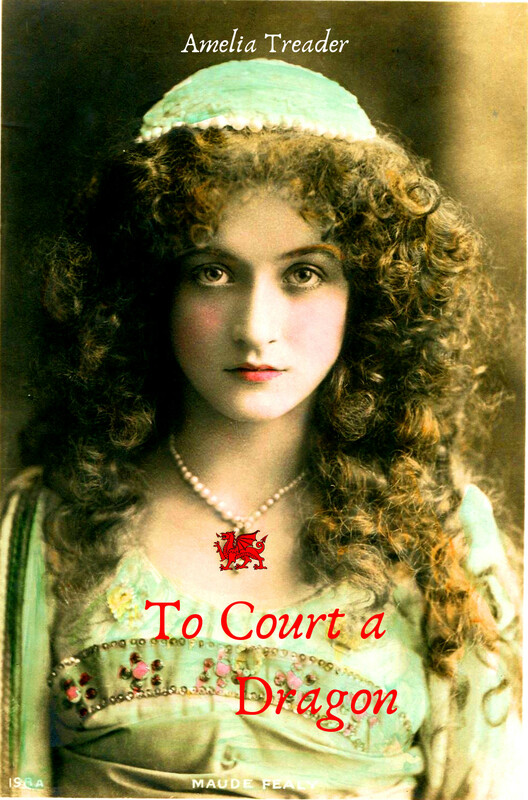 Lady Caterham ignored the tone of that last remark and watched as her eldest daughter, a striking, tall, auburn-haired young woman walked off to change into the dress of a refined and cultured young lady. Much to Lady Caterham’s relief, and fully justifying the expense of hiring her, Mary turned Amanda out dressed in the proper mode of a young lady. The grease was gone from her face and her auburn hair was immaculate, as were her muslins. She wore a simple string of pearls, suitable for a young woman venturing into the wilds of society. While no amount of cleaning could restore her hands and nails to the pristine state that was so important in a fashionable young woman, she would be wearing gloves. They would hide most of the damage. One did not hold hands without something between you and the young man. Amanda did nothing that spoiled Lady Caterham’s trip. While she may have cast an eye over the bearings, axles and springs, she didn’t stop to play with them. Indeed, without the squeaks, the jarring and the shaking normal in a carriage, Lady Caterham arrived at the assembly in a remarkably refreshed state. When they arrived at the assembly, one of the officers, a captain, swept Amanda away. He led her onto the dance floor for the first country dance of the evening. All in all, it made for an outstanding start to the evening. Their happy optimism about Amanda’s prospects would have been tempered had they been able to hear her conversation with the young man. While good looking with blue eyes, dark hair and a firm visage, able to dance the figures with a natural athletic grace, polite, educated and well mannered, he was also a serious disappointment. Amanda’s grimace suggested that option was, if anything, even less appealing than divinity. Despite her misgivings about divinity students, Amanda couldn’t help feeling disappointed when the dance drew to a close and it was time for the supper break. Mr. Williams bowed and returned to his cousin’s company, while she found her mother. Amanda blushed at his attention, then curtsied, accepted the punch from him and said “Thank you. I didn’t mean to disparage you.” Her mother beamed at Mr. Williams, but fortunately showed her good sense and stayed silent. Lady Caterham loudly whispered, cautioning her daughter, “Amanda, behave. Watch that tongue of yours.” Mr. Williams did not fail to notice Amanda rolling her eyes at the admonishment, nor that she kept smiling at him. “She accepts,” Lady Caterham injected. “Twice more is excessive,” Lady Caterham added. Mr. Williams stopped, stunned that she would shoot so near the mark, interrupting the dance figure for a few seconds. “More than I can tell you.” Then he quickly resumed the dance. The music ended. Mr. Williams and Amanda bowed to each other. Good manners dictated that she dance with other partners. For some reason the officers who were available and willing seemed curiously flat. Good dancers, elegantly mannered, but deficient in conversation. The evening ended well, at least the dancing did. Partway back to Caterham hall, when the carriage went over a steep bump, there was snap. It was followed by a gentle hiss and the box leaned to the right. Author AmeliaPosted on July 11, 2015 Categories Book installment, Chapter sample, codebreaking, historical fiction, regency, romanceLeave a comment on Incoming. Extract from my next one. Steam and Secrets?